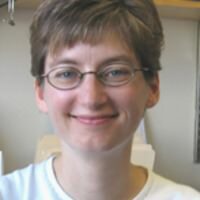 Sarah H. Heil, Ph.D. is an Associate Professor of Psychiatry and Psychology at the University of Vermont and a faculty member of the Vermont Center on Behavior and Health. Dr. Heil earned her Ph.D. from Dartmouth College in 1997, then completed National Institute on Alcohol Abuse and Alcoholism (NIAAA) and National Institute on Drug Abuse (NIDA) postdoctoral fellowships in substance abuse research at Wayne State University and the University of Vermont. She joined the faculty at Vermont in 2002. Continuously funded by NIDA since that time, her research interests include the behavioral and pharmacological processes involved in substance use disorders, with a special focus on pregnant and recently postpartum women and their infants. Dr. Heil has more than 100 publications to her credit. She is currently on the Board of Directors of the College on Problems of Drug Dependence and the editorial board of the Psychology of Addictive Behaviors. Dr. Heil is also part of the faculty for the Vermont Oxford Network’s 3-year initiative to improve outcomes for infants and families affected by neonatal abstinence syndrome (NAS). Dr. Rosemary Higgins, a board certified neonatologist, serves as the Program Scientist for the Eunice Kennedy Shriver National Institute of Child Health and Human Development (NICHD) Neonatal Research Network at the National Institutes of Health (NIH). In addition, she administers a portfolio of research and training grants concerned with disorders of the newborn, newborn intensive care treatments and technologies and neonatal adaptation and well-being. Dr. Higgins received her MD degree from Georgetown University, served a Pediatric Residency at the University of Virginia Medical Center, and a Neonatal-Perinatal Medicine Fellowship at the University of Rochester. She joined the faculty in 1991 at New York University Medical Center and Bellevue Hospital Center. In 1996 she moved to Georgetown University where she was the Neonatal-Perinatal Medicine Fellowship Director. 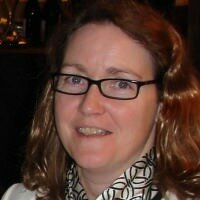 In 2002, she joined the NIH at NICHD and is responsible for day to day activities in the Neonatal Research Network.